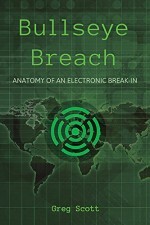 Much has changed on the security landscape since the last edition of this book was published in 2000. Today’s security personnel face greater demands than ever before and are expected to be more highly trained and educated. Updated to reflect the heightened security climate of the current age, Protection, Security, and Safeguards: Practical Approaches and Perspectives, Second Edition offers a critical survey of the field, introduces proven procedures, and explores the latest advances for security practitioners. Edited by a former U.S. Secret Service Agent, the book includes contributions from professionals in all walks of the security industry. The diverse array of topics in this volume provide a scintillating view of the challenging field of security and the people who make up today’s security workforce.